Ben-Shalom, Uzi, and Yizhaq Benbenisty. “Coping Styles and Combat Motivation During Operations. An IDF Case Study.” Armed Forces and Society 42.4 (2016): 655-74. Lebel, Udi. “The ‘Immunized Integration’ of Religious-Zionists within Israeli Society: The Pre-Military Academy as an Institutional Model.” Social Identities 22.6 (2016): 642-60. Lomsky-Feder, Edna, and Orna Sasson-Levy. “The Effects of Military Service on Women’s Lives from the Narrative Perspective.” In Researching the Military (Cass Military Studies; ed. Helena Carrieras, Celso Castro, and Sabina Frederic; Abingdon and New York: Routledge, 2016): 94ff. Rosman, Elisheva. “Toward a Classification of Managing Religious Diversity in the Ranks. The Case of the Turkish and Israeli Armed Forces.” Armed Forces and Society 42.4 (2016): 675-95. Shelef, Leah, Evyatar Ayzen, Nirit Yavnai, Eyal Fruchter, and Orly Sarid. “The Contribution of the Socio-Demographic Characteristics on Suicidal Ideation among Israeli Soldiers.” Disaster and Military Medicine 2.5 (2016). Simonetti, Ilaria. “Women’s Violence and Gender Relations in the Israeli Defence Forces.” In Gender and Conflict: Embodiments, Discourses and Symbolic Practices (ed. Georg Frerks, Annelou Ypeij, and Reinhilde Sotiria König; London and New York: Routledge, 2016): 67-90. Arar, Khalid, Kadir Beycioglu, and Izhar Oplatka. “A Cross-Cultural Analysis of Educational Leadership for Social Justice in Israel and Turkey: Meanings, Actions and Contexts.” Compare (early view; online first). The research compares principals in Israel (Jewish and Arab) and Turkey and how they perceive and practice their role in promoting social justice (SJ) in their schools in order to bridge socioeconomic and pedagogic gaps. It poses three questions: (1) How do Turkish and Israeli SJ leaders make sense of SJ? (2) What do SJ leaders do in both countries similarly and differently? (3) What factors facilitate or hinder the work of SJ in both countries? The qualitative study employed in-depth semi-structured interviews to collect the narratives of 11 school principals in Turkey and Israel. A comparative, holistic analysis was employed to identify the principals’ perceptions and daily practice of SJ in their schools. The principals reported different sociocultural, national and personal trajectories that shaped their perceptions of SJ, and described strategies used to promote SJ in their daily scholastic policies, processes and practices that meet the school stakeholders’ backgrounds and needs. David, Hanna. “The PISA Results in Mathematics and Science: A Comparison between Israel and Turkey.” Journal for the Education of Gifted Young Scientists 3.1 (2015): 22-8. Comparing the PISA 2012 achievements of Turkey and Israel in Mathematics and science has been an intriguing challenge. Israel was one of the first 12 countries taking part in the first International Mathematics assessment: The TIMSS 1963/4; it had the best achievements both in grade 4 and 8 (ibid). Turkey started participating in International evaluations only in 1999. Since the 1963/4 first international examinations, the Israeli situation has changed substantially by the 80ies, and not in any desirable direction. Turkey, on the other hand, has demonstrated a gradual, constant improvement in the PISA achievements – both in mathematics and science. In this study a brief comparison between these two countries will be presented regarding the achievement in the first decade of the 21st century. This article consists of three main parts: Why comparing Israel and Turkey?, Achievements comparisons between Israel and Turkey, and Why are the Israeli PISA 2012 results actually lower than reported. Evans, Matt and M. Selcan Kaynak. “Media Framing in Religious–Secular Conflict in Turkey and Israel.” International Political Science Review 36.2 (2015): 139-52. The functioning of the media as a public watchdog and as a neutral forum for society’s different perspectives is a model that is seen as vital in modern democracies. However, in societies with major social rifts these functions may conflict with one another and alter the media’s role. This work contributes to the theoretical discussion of the role of the media, through a study of the media in religious–secular conflict in Turkey and Israel. In recent years, religious parties’ electoral gains have challenged secular communities’ hold on the countries’ decision-making institutions. With the increase in religious–secular political tensions, the media on both sides have taken a central role, highlighting perceived dangers presented by the other side. As the media come to function as the vanguard of the opposing sides, the impact is twofold: loss of an important public watchdog and a deepening of societal rifts. Sarfati, Yusuf. Mobilizing Religion in Middle East Politics. A Comparative Study of Israel and Turkey, Routledge Studies in Middle Eastern Politics. Abingdon: Routledge, 2014. Allon, Michal L. “Review.” Middle East Media and Book Reviews Online 2.6 (2014). Ramazan Kılınç. “Review.” Turkish Review, November 1, 2014. Rubin, Aviad. “Review.” International Journal of Middle East Studies 47.1 (2015): 212-213. Israel Affairs, Volume 20, Issue 3, July 2014 is now available online on Taylor & Francis Online. “Like Two Scorpions in a Bottle”: Could Israel and a Nuclear Iran Coexist in the Middle East? Israel Affairs, Vol. 20, No. 1, 02 Jan 2014 is now available on Taylor & Francis Online. Guzansky, Yoel. “Israel’s Periphery Doctrine 2.0: The Mediterranean Plus.” Mediterranean Politics 19.1 (2014): 99-116. This article discusses the bilateral ties that have been forming between Israel and its periphery – that is, Greece, Cyprus, Azerbaijan and South Sudan – and draws a comparison to Israel’s previous relations with Iran, Turkey and Ethiopia. It considers the contribution of those partnerships at the security-intelligence and economic level and suggests its potential impact in the political arena. This research concludes that, despite the dividends that can be gained from security, economic and energy cooperation, its value compared to that of its predecessor is lower based on their instability, domestic issues and lower levels of regional or international influence. Tepe, Sultan. “The Perils of Polarization and Religious Parties: The Democratic Challenges of Political Fragmentation in Israel and Turkey.” Democratization 20.5 (2013): 831-56. With their “deeply divided societies”, distinctive electoral rules and pivotal religious parties, Israeli and Turkish politics offer crucial cases to probe into “polarization” processes and the ways in which religious parties play a role in them. Using a large sample of public opinion and experimental survey data, the analysis shows how polarization can be marked by some contravening trends. Despite declining social trust, religious party supporters do not denounce any institutions categorically; yet disregard some opposing parties as viable political alternatives. The political positions of religious partisans differ from their party leadership. Supporters assign different levels of significance to polarizing issues and carry the potential of forming issue-based coalitions across different ideological groups. Although they acquire news and political information from different venues, most partisans tend to process factual information through partisan lenses, reinforcing partisan ideological commitments. While religious party supporters increasingly reject the existing markers of politics and show signs of political apathy, they do not withdraw from politics. With their multifaceted commitments, religious party supporters do not fall into mutually exclusive political groups. Given the tendency of the political elite to exacerbate divisions for political expediency, it is ultimately the ability of individuals to engage in politics beyond the confines of party politics that presents an escape from these polarization traps. Cite: Kanat, Turkish-Israeli Reset: Business As Usual? Kanat, Kilic Bugra. “Turkish-Israeli Reset: Business As Usual?” Middle East Policy 20.2 (2013): 113-121.
process and the emergence of a more integrated Middle Eastern economy. Cite: Özdemir, Is Consensus Necessary for Inflation Stabilization? Özdemir, Yonca. “Is `Consensus’ Necessary for Inflation Stabilization? A Comparison of Israel and Turkey.” Middle Eastern Studies 49.1 (2013): 47-62. By studying two Middle Eastern cases, Israel and Turkey, this study seeks to understand how countries with chronically high inflation achieve permanent stabilization. It is argued that each case of successful stabilization is facilitated by a combination of favourable political conditions. Having an acute crisis is a necessary though not a sufficient condition. It is argued that what politically seems to help most is the creation of ‘social and political consensus’. A wide support for stabilization is more likely if the stabilization plan distributes the costs of stabilization more equally. Skilful leaders also help build consensus and they are more important where other conditions are unfavourable. All these conditions were instrumental in the case of Israel, which is a stable and established democracy. The Turkish case demonstrates that if stabilization is initiated without a consensus, it would prove to be a political disaster for the implementing government. However, rapid positive economic results and favourable political changes may later contribute to creating political and social support for stabilization. In fact, for stabilization to be successful, consensus in the medium term is as or even more important than consensus in the short term. Durna, Tezcan and Burak Özçetin. “Mavi Marmara on the News: Convergence and Divergence in Religious Conservative Newspapers in Turkey.” Middle East Journal of Culture and Communication 5.3 (2012): 261-281. This article presents a discursive analysis of religious conservative daily newspapers’ response to Israeli commandos’ attack on a flotilla of aid ships that were attempting to break an embargo on traffic to Gaza on 31 May 2010. The event not only caused a serious rupture in Israeli-Turkish relations but also resulted in the rise of (already present) anti-Israeli sentiment in the conservative religious sectors of society. Conservative religious media, more specifically the Islamic newspapers, led the anti-Israeli campaign within this process. The authors emphasize that news does not simply represent reality, but, as an active process, works on it. The institutional dependence on regular and reliable institutional sources and the ideological character of language are two major dynamics of this process. The journalistic routine imposes the statements of the institutional sources, or the voice of the powerful, as the only reliable and viable definition of events. The language used in the news enhances this partiality through use of stereotypical, bitter and discriminatory expressions. This article discusses the way news texts influence reality by focusing on the primary and secondary definers in the news, newspapers’ oscillation between humanitarian and Islamic concerns, and between anti-Zionist and anti-Semitic positions. Stocker, James. "No EEZ Solution: The Politics of Oil and Gas in the Eastern Mediterranean." Middle East Journal 66.4 (2012): 579-597. The discovery of oil and natural gas resources in the eastern Mediterranean Sea has the potential to exacerbate conflicts in the area. There are many possible ways to prevent this from happening, but each requires the states of the region to cooperate, which is unlikely for numerous reasons. This article reviews the various conflicts that have emerged or are emerging over this issue and suggests possible solutions. The Gildenhorn Institute for Israel Studies will host a Conference On: The Political Role of the Military in the Middle East on Wednesday, March 14, 2012. Registration begins at 8:45am and program begins at 9:15am, which runs until 12:45pm in the Prince Georges Room in the Stamp Student Union at the University of Maryland. After a brief introduction by Bonnie Thornton- Dill, Dean of the College of Arts and Humanities, the conference will be divided into two panels. Panel One will be chaired by Shibley Telhami and include expert panelists discussing issues relating to Turkey, Syria, and Jordan. Panel Two will be chaired by Madeline Zilfi and feature expert panelists discussing issues relating to Egypt and Israel. Each panel will be followed by a brief question and answer session. The audience will include guests from think tanks and the diplomatic community, as well as members of the university community. Kinzer, Stephen. 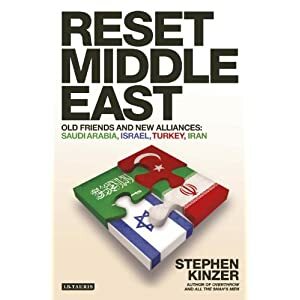 Reset Middle East: Old Friends and New Alliances : Saudi Arabia, Israel, Turkey, Iran. London and New York: IB Tauris, 2010. “Choose the Right Pals, For a Change. Turkey and Iran Should be America’s Partners.” The Economist. July 15, 2010. Naughten, Barry. “Review.” Middle East Journal 66.1 (2012): 194-196. 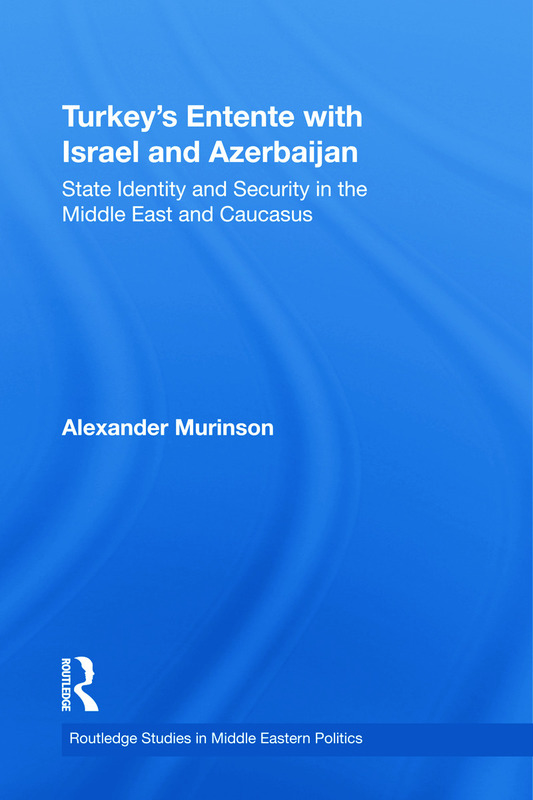 Alexander Murinson, Turkey’s Entente with Israel and Azerbaijan: State Identity and Security in the Middle East and the Caucasus. London / New York: Routledge, 2010. Jacob M. Landau, “Review.” Middle Eastern Studies 47.6 (2011): 966-967. Umut Uzer, “Review.” International Journal of Middle East Studies 43.2 (2011): 355-358. Tepe, Sultan. Beyond Sacred and Secular. Politics of Religion in Israel and Turkey. Stanford: Stanford University Press, 2008. Yüksel Sezgin. Middle East Journal 63,1 (2009): 162-163. Efrat E. Aviv. Journal of Israeli History 29,1 (2010): 132-134.